Enhance your facial features with brow and lash tinting, and get expertly arched eyebrows and smooth skin with facial waxing! Tired of tweezing and filling in your brows with powder to make them more noticeable? Do you love the idea of darker, richer colored lashes that compliment your eyes, but struggle with messy mascara? Then, it may be time to add a waxing or tinting service to your next appointment at Face Cosmetic Skincare! If the eyes are the window to the soul, then your eyebrows are the door frame! Expertly shaped brows that compliment your face shape and bone structure can dramatically enhance your appearance, creating a more sophisticated and youthful look! 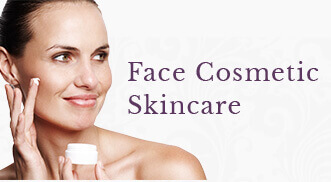 Trust your brow waxing and tinting to the Licensed Aestheticians at Face Cosmetic Skincare! Not only do we customize our waxes to your skin type and condition, we offer advanced post care to minimize redness and irritation. Many of us struggle with “rogue” hairs on our upper lip, chin and face due to genetics and/or hormonal fluctuations. In most cases, your Licensed Aesthetician will discuss options with Laser Hair Reduction to reduce hair growth in these areas. But, if the hairs present are blonde, grey, or translucent (not suitable for Laser Hair Reduction), waxing may be your best option to get your face smooth and hair free. Depending on the rate of your individual hair regrowth and the area of the face that is being waxed, you can expect to return for your waxing service every 3-4 weeks to keep your skin consistently smooth. Your Licensed Aesthetician will discuss discontinuing the use of topical retinoids at least 2 days before your waxing appointment. Tinting is a wonderful option if you would like an easy, natural and low maintenance way to enhance your facial features. All eyes will look more dramatic and colorful when outlined with a darkened lash line. In addition, the correct coloration on the brows can make them more prominent and omit the use of powders and gels to cover greys. Tinting is a fast and easy service that delivers beautiful results. Stay on a schedule with tinting every 3 weeks to enjoy vibrant, youthful color throughout the month! Want to enhance your brows and lashes even further? 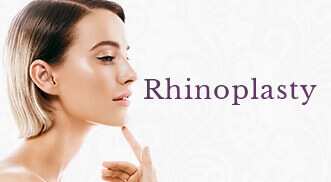 Ask you Licensed Aesthetician about our Latisse® (clickable link), RevitaLash®(clickable link) and RevitaBrow® Products! Are you interested in learning more about Facial Waxing & Tinting?